3OP | ADULT CATECHESIS & CHRISTIAN RELIGIOUS LITERACY IN THE ROMAN CATHOLIC TRADITION: hosting ONLY True Christians!! !, or "How to think Catholic!!" “Eternal God, eternal Trinity, you have made the blood of Christ so precious through His sharing in Your divine nature. You are a mystery as deep as the sea; the more I search, the more I find, and the more I find the more I search for You. But I can never be satisfied; what I receive will ever leave me desiring more. When You fill my soul I have an even greater hunger, and I grow more famished for your light. I desire above all to see you, the true light, as you really are. I have tasted and seen the depth of your mystery and the beauty of your creation with the light of my understanding. I have clothed myself with Your likeness and have seen what I shall be. Eternal Father, You have given me a share in Your power and the wisdom that Christ claims as His own, and your Holy Spirit has given me the desire to love You. You are my Creator, eternal Trinity, and I am Your creature. You have made of me a new creation in the blood of Your Son, and I know that You are moved with love at the beauty of Your creation, for You have enlightened me. Eternal Trinity, Godhead, mystery deep as the sea, You could give me no greater gift than the gift of Yourself. For You are a fire ever burning and never consumed, which itself consumes all the selfish love that fills my being. Yes, You are a fire that takes away the coldness, illuminates the mind with its light and causes me to know Your truth. By this light, reflected as it were in a mirror, I recognize that You are the highest good, one we can neither comprehend nor fathom. And I know that You are beauty and wisdom itself. The food of angels, You gave Yourself to man in the fire of Your love. 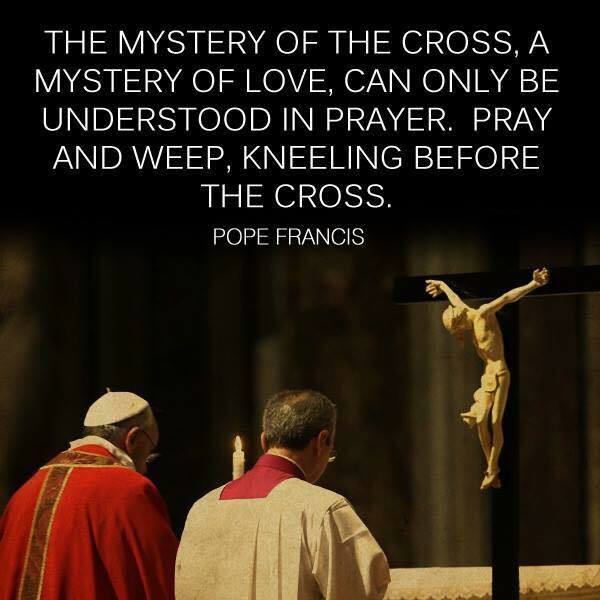 This excerpt on the mystery of the triune God from the dialogue On Divine Providence by Saint Catherine of Siena (Cap 167, Gratiarum actio ad Trinitatem) is used in the Roman Office of Readings for the liturgical memorial of St. Catherine of Siena on April 29. 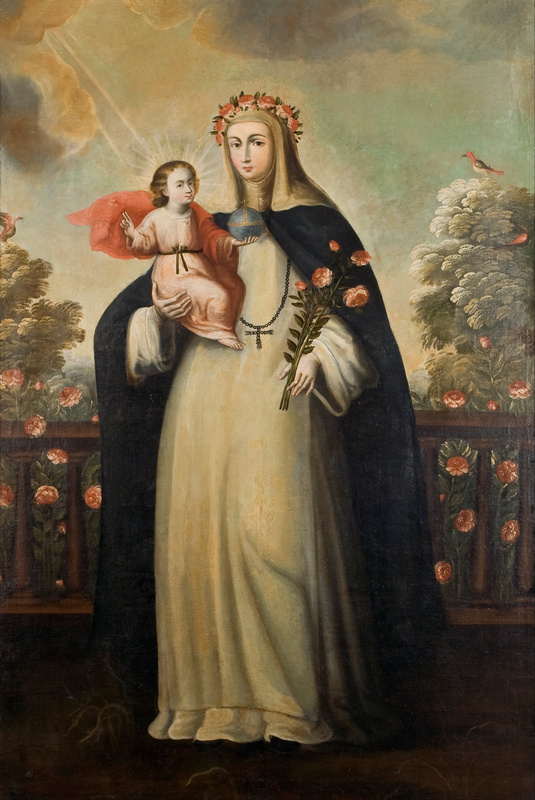 -Anonymous, Cusco School (1680 – 1700), Saint Rose of Lima with Child Jesus, oil on canvas, Height: 1,880 mm (74.02 in). Width: 1,250 mm (49.21 in), Museo de Arte de Lima, Peru. Rose was not an academic and had little in the way of formal education, although she did learn to read. Among her favorite books were biographies of Saint Catherine of Siena and the spiritual guidebooks of another notable Dominican, Venerable Louis of Granada. In fact, his Book of Prayer and Meditation became Saint Rose’s favorite book, as prayer and meditation themselves were to become her favorite activities, forming the core and shaping the periphery of every aspect of her short life. Rose’s life of prayer and contemplation started very early from the time of her early childhood when she would find herself drawn to stare at a picture of Christ crowned in thorns. She also had a special devotion to the Child Jesus and to his Blessed Mother. Saints drawn to prayer and contemplation seek to follow Christ’s instruction to “go into your room and shut the door and pray to your Father who is in secret” (Matt. 6:6). They seek communion with the Father and not the eyes and the praise of others. When circumstances allow it, some go out into the desert, up into the mountains, or within some densely wooded glen. Others, like Saints Catherine and Rose, must seek their sanctuary of prayer, exactly as Christ explained it, from within the confines of their room. Enclosed in her private hermitage, Rose read books on meditative prayer, especially, as mentioned, those of Venerable Louis of Granada. She devoutly prayed the Rosary and used many other vocal and mental forms of prayer. She would meditate for hours simply on the multitude of graces she had received through God’s mercy. Christ said of those who pray to the Father in secret that “your Father who sees in secret will reward you” (Matt. 6:6), and Saint Rose was rewarded with many ecstatic visions, including, like Saint Catherine, a divine espousal with Christ. Rose was not a doer in the grand sense of a Saint Dominic, who founded an order, or Saint Catherine, who influenced popes, although she was admired by her saintly archbishop. Most of what Rose did was done on a smaller, although most arduous scale. She knew well that Christ has said that those who would follow Him will need to deny themselves daily and take up their cross (Matt. 16:24; Luke 9:23). These are hard words of holy advice that she heeded like few before her or since. Saint Thomas wrote that the cardinal virtues of temperance, fortitude, justice, and prudence pertain to the active life, but they also prepare us to rein in our passions and focus our intellect and will so that we might rise undisturbed to the heights of contemplation. Saint Rose displayed those cardinal virtues in the most heroic degree, and she is probably best known for her unusual degree of both temperance and fortitude as displayed in the many extreme and most difficult ways she contrived to take up Christ’s cross through her own daily (and nightly) acts of self-denial and self-mortification. Temperance reins in our sensual desires for bodily pleasures, and few pulled in their reins tighter than young Rose. 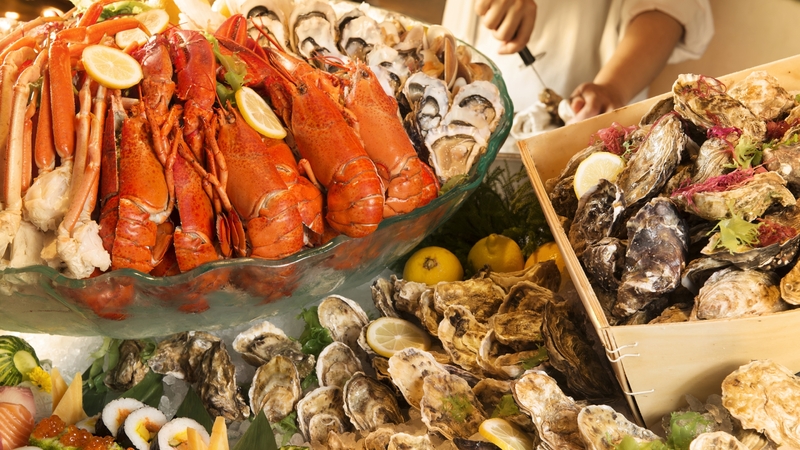 As for the senses of the palate, she gave up meat as a child, as well as the succulent fruits of Peru. She would often deprive herself of cold water, and of any water at all, and would live on things such as bread crusts and simple bitter herbs. As for the sensual pleasures of the body, although Rose would at times be tormented by visions of temptations toward vanity and toward bodily pleasures, through God’s grace she never consented to such sins and persevered in her vows of chastity and purity. Fortitude calls forth our “irascible” powers, whereby we hate evil things and fire up our courage to overcome evil obstacles to obtain difficult goods, even if those obstacles should threaten our life and limb. This, of all virtues, but for the love of charity, was perhaps the strongest of all within the sturdy soul of this ostensibly delicate Rose. She hated the thought of any demon, any sensation, any wicked thought or intention that might stir her will against the will of God, and in her personal war against any possible vice or sin, she devised self-mortifications that may well boggle the modern mind, and prompted some of her own confessors to command her to tone some of them down. To provide but a few examples of Saint Rose’s self-imposed penances and mortifications, she so fought against sleep that would deprive her of time for prayer that she devised a bed for herself that was a little wooden box with a mattress stuffed with hard, gnarled pieces of wood and broken pottery chards that allowed for but a few hours of sleep when she was very tired. At times in her garden, she would literally take up a heavy wooden cross, in imitation of Christ’s Passion. Saint Rose’s mortifications may seem very strange to us today, but they still may hold valuable lessons. In Saint Dominic’s “third way of prayer,” he employed the discipline of striking himself with an iron chain while repeating (translated) from the Latin Vulgate Bible “Your discipline has set me straight towards my goal” (Psalm 17:36). Some today might wonder if Rose’s self-mortifications were a sign of scrupulosity or mental instability, and this was also considered in her time. Due to the unusual manner of her penitential life, Rose was once questioned by several theologians and a medical doctor of the Inquisition, but these learned men concluded that hers was a life unusually graced by God. Justice means rendering to each person his due, and this Rose always rendered, and then some. In the last years of her life, Rose persuaded her mother to allow her to care for the poor, the homeless, the elderly, and the sick in empty rooms of their house, and her actions are considered, along with those of Saint Martin de Porres, among the foundations of social work in Peru. Presence of God – O Jesus, help me to penetrate the mystery of Your infinite love, which constrained You to become our Food and Drink. All God’s activity for man’s benefit is a work of love; it is summed up in the immense mystery of love which causes Him, the sovereign, infinite Good, to raise man to Himself, making him, a creature, share in His divine nature by communicating His own life to him. It was precisely to communicate this life, to unite man to God, that the Word became Incarnate. In His Person the divinity was to be united to our humanity in a most complete and perfect way; it was united directly to the most sacred humanity of Jesus, and through it, to the whole human race. By virtue of the Incarnation of the Word and of the grace He merited for us, every man has the right to call Jesus his Brother, to call God his Father and to aspire to union with Him. The way of union with God is thus opened to man. By becoming incarnate and later dying on the Cross, the Son of God not only removed the obstacles to this union, but He also provided all we need to gain it, or rather, He Himself became the Way. Through union with Jesus, man is united to God. It is not surprising that the love of Jesus, surpassing all measure, impelled Him to find a means of uniting Himself to each one of us in the most intimate and personal manner; this He found in the Eucharist. Having become our Food, Jesus makes us one with Him, and thus makes us share most directly in His divine life, in His union with the Father and with the Trinity. By assuming our flesh in the Incarnation, the Son of God united Himself once and for all with the human race. In the Eucharist, He continues to unite Himself to each individual who receives Him. Thus we can understand how the Eucharist, according to the mind of the Fathers of the Church, may really be “considered as a continuation and extension of the Incarnation; by it the substance of the Incarnate Word is united to every man” (cf Mirae Caritatis paragraph 7). “O eternal Trinity! O fire and abyss of charity! How could our redemption benefit You? It could not, for You, our God, have no need of us. To whom then comes this benefit? Only to man. O inestimable charity! Even as You, true God and true Man, gave Yourself entirely to us, so also You left Yourself entirely for us, to be our food, so that during our earthly pilgrimage we would not faint with weariness, but would be strengthened by You, our celestial Bread. O man, what has your God left you? He has left you Himself, wholly God and wholly Man, concealed under this whiteness of bread. O fire of love! Was it not enough for You to have created us to Your image and likeness, and to have re-created us in grace through the Blood of Your Son, without giving Yourself wholly to us as our Food, O God, Divine Essence? What impelled You to do this? Your charity alone. It was not enough for You to send Your Word to us for our redemption; neither were You content to give Him to us as our Food, but in the excess of Your love for Your creature, You gave to man the whole divine essence. And not only, O Lord, do You give Yourself to us, but by nourishing us with this divine Food, You make us strong with Your power against the attacks of the demons, insults from creatures, the rebellion of our flesh, and every sorrow and tribulation, from whatever source it may come. 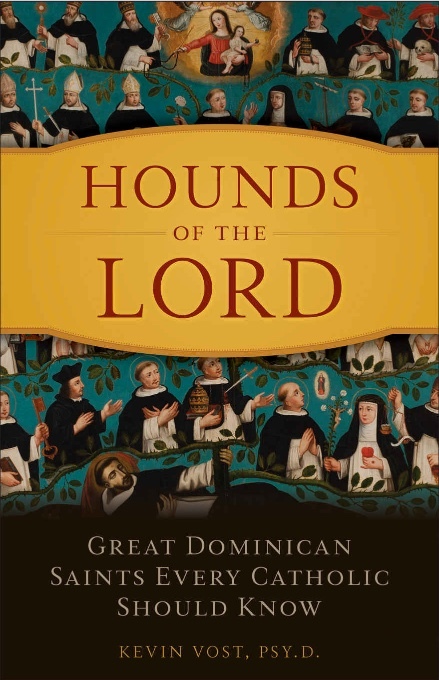 “A new biography of Dominican saints has recently been published, Dr. Kevin Vost’s “Hounds of the Lord” (Sophia Institute Press, 2015)—the title based on an early Latin nickname for the Order, Domini canes, dogs of the Lord. Though educated by Dominicans as a young boy, the idea for his present book came from a bookmark, given him by the Nashville Dominican sisters, announcing the Order’s 800th Jubilee. The fruit of his labor is both fun and intelligent, accessible and informative, full of quaint stories and Thomistic theology woven together. To begin at the beginning, we can defy cliché warnings and “read the book by its cover.” That’s because it’s a great cover. 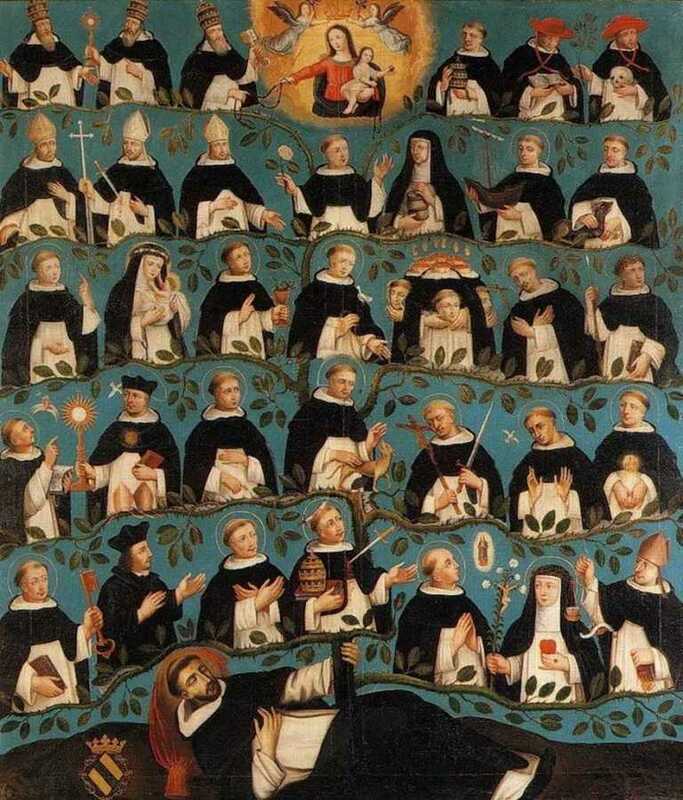 The image, called “The Genealogical Tree of St. Dominic” (pictured above and, in its entirety, below), is an oil painting on wood, and dates from 1675. It is the work of J. Rolbels and now adorns the Swiss monastery of Dominican sisters at Estavayer-le-Lac. -Jordan of Saxony, the successor to Dominic, went to confession to him in Paris and asked advice on his vocation. -Before Jordan died in a shipwreck in Syria, he attracted Albert the Great to the Order by interpreting in his homily the student’s fearful, undisclosed vocation dream of the previous night. -Sent to teach in Cologne, Albert became the teacher of Thomas Aquinas, who later taught in Paris alongside the young Dominican Peter of Tarentaise, who became Pope Innocent V.
All Dominicans, all on the same tree. -As Dominic dreamed of preaching missions to the pagan east, Hyacinth, whom he received into the Order in Rome, would return to Poland and travel 25,000 miles on foot as a missionary. -As Dominic had sent brothers to the universities of Europe, Thomas Aquinas would not only learn the doctrine of the Church, but deepen it for the Church. -As Dominic remained in Rome, laying the foundation of the Order with papal negotiations, Catherine, a girl in her 20s, would march her way to Avignon and persuade the pope to come back home. And though we have no records of Dominic’s own preaching, his style and genius (shared by all early Dominicans) is preserved in a long treatise by Humbert of Romans. Vost summarizes this work, listing the many spiritual and practical elements of preaching, and even includes charts of scriptural images that Humbert used to describe preachers as eagles, horses, angels, snow, mountains, and even “a powerful soap”. After the early years, the charism of Dominic and the theology of Thomas grew into a great tree that has spanned hundreds of years and across many seas to the New World. Rose of Lima and Martin de Porres were contemporaries in Lima, Peru (they were even confirmed by the same bishop). Even there Dominican preaching was well known, and as children, each saint learned the teachings of Catherine of Siena, who herself learned Thomas’s theology and dressed it in her own passionate language. The biography ends with Pier Giorgio Frassati, an athlete and a student, who died with a copy of Catherine’s Dialogues at his bedside table. -Which Dominican originally wrote the lyrics for “Day by Day” in the musical Godspell? -Which Dominican had 24 brothers and sisters, yet still managed to have her own room? -Which Dominican became pope and saved all of Europe from a Muslim invasion? -Which friar became famous for a wooden spoon he once gave a convent of nuns? -How one sister joined the Franciscans—until the Virgin Mary appeared, her arms full of stones, telling her to build a Dominican convent instead? -How a certain girl chose the Dominicans after being visited by a black-and-white butterfly? -How one friar escaped pressure to become a bishop so that he could remain an angelic painter? -How one friar accepted the office of bishop but never took off his hiking boots? -Which famous American author had a daughter who joined the Order after a failed marriage? -Which friar started a hospital for dogs and would bi-locate to attend med school in Europe? In August 1988, the 14th, to be exact, I entered the Province of St Joseph, (Eastern Province USA), of the Order of Preachers, aka the Dominicans, and received my habit. I had graduated from college almost exactly two months earlier. I know that date exactly since it is written in the front of my physical Bible, which was a gift of a religious sister, Sr. Yvonne, who had taught my siblings in Catholic school, and had remained friendly and close to the family even as I grew up. That Bible was my graduation gift from her. I treasure it. It is thoroughly highlighted and underlined in red. Those instruments are immediately in the front pocket of the cover, for easy, and constant access. After nine months as a novice, and never a day off, I suppose that was part of the “test”, since one who professes “obedience”, and that is the only vow Dominicans take, everything else follows, there are no “days off”, literally, or poetically. Rational, since The People of God need to be buried nearly every day; life, faith, and relational crises won’t/don’t wait well; Catholics marry, and need to be baptized, have their sins forgiven, etc., on weekends, and then, there’s Sunday. Whew! And, then it’s back to classes and the daily grind, Monday. Repeat. Any Dominicans I know ARE busy people! The only vow that “freaked” me out was obedience, the biggy. It still does. I guess I’m not docile, just so. I haven’t grown any more comfortable with the idea either, quite worse, in fact, in the last thirty-two years, having seen human leadership, or rather, it’s failure, imho; granted not necessarily inspired by the Gospel, but even when supposedly so, still. Catholics use the word vocation in a very literal sense, much more so, intentionally, than any other aspect of life I have encountered. And, that night, I didn’t dream especially, but awoke with my answer: calm, confident, serene, not reasoned out, but still present in my heart and in my mind. I call it, even now, and it could have been just my subconscious finally poking through, but “God spoke to me.” The organ for speaking and listening to God is always the heart. “in the heart are the highways to Zion (Heaven)” (Ps 84: 5). “In 2011, Kevin Becker fell from the second floor of a house he shared with a couple of college roommates, fracturing his skull in five places and damaging every lobe of his brain. After an emergency operation he lay stable but unresponsive for nine days. The doctors thought he wouldn’t live; and if he did he would suffer from gross cognitive deficits. Less than three weeks after his injury he was wheeled to the door of the hospital, where he stood up, slung his bag over his shoulder, and walked to the car … tossing a football with his brother. This is not the usual way. A week after his injury, the doctors were talking of putting him into a medically induced coma, a last-ditch effort. Days later he opened his eyes, and was soon speaking, standing, and walking normally. After Kevin left the hospital he went to physical rehab, and found that he was five steps ahead of the others there, including those who had been in recovery for six months to a year. On October 11th he took a battery of cognitive tests, and completed them in just two hours rather than the usual six. A month later, his doctor asked him how he thought he’d done. He answered, as he says he would have answered about any test he took, “I think I did OK.” The doctor told him he’d done “not just OK,” but as though he’d never been injured. He was cleared to return to college where he finished his degree; he now works making loans to small businesses. Again, this is not the usual way. 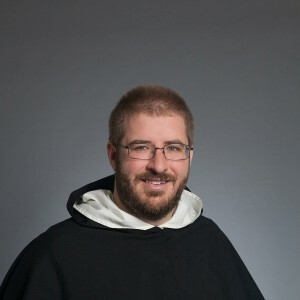 I had the pleasure of hearing Kevin Becker speak about his experiences on October 29th of this year, at a celebration of the 800-Year Jubilee of the Dominican Order. During his coma, he remembers waking up in the house he shared with his friends, and hearing someone downstairs. That was odd; he says he’s always the first one up. He investigated, and in the living room he found a young man he didn’t know. Eventually he awoke in the hospital. Later, Kevin mentioned his new roommate to his mother, calling him a “good spirit.” After he described him his mother showed him a picture of a man he immediately recognized as George. It was a picture of Blessed Pier Giorgio Frassati that had been sent to his mother by a cousin, who suggested she ask for Frassati’s intercession. 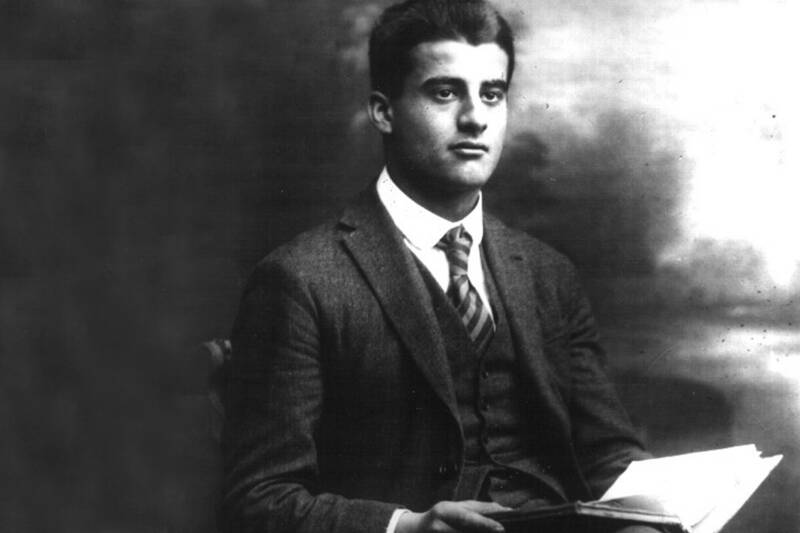 (Frassati, a Lay Dominican, died of polio in 1925 at the age of 24, after a life in which his family knew him mostly for his love of mountain climbing, and the poor of Turin knew him as their beloved friend and benefactor.) Becker’s mother did so, and placed the picture at his side. He woke the next day. Pier Giorgio Frassati, was a model of charity, who annoyed his father by constantly “losing” pieces of his fine wardrobe, including shoes and coats. Kevin had never heard Pier Giorgio Frassati’s name before his accident. They say that an encounter with a saint can change your life; it changed Kevin’s. Not only was he completely healed, he says that he’s better than he was before his injury. In school he’d always been the clown sitting in the back row making smart-aleck remarks and not paying attention to his schoolwork. From the moment he woke, his studies became important to him, and his grades improved remarkably. Jul 9 – Bl Adrian Fortescue, OP, (1476-1539) – Soldier, Patriot, Husband, Father, Martyr, Lay Dominican – like me!! -please note the collar brooch Bl Adrian wears in this image. 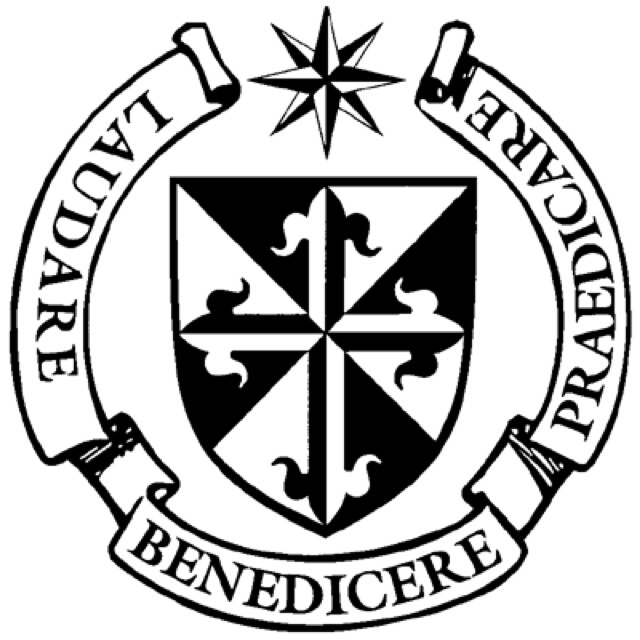 It’s design is of the Dominican shield, in black & white. It is a classic design, widely recognized by those familiar. I have similar lapel pins, worn on appropriate occasions!! Can I hope, too, for the blessing of martyrdom? Bl Adrian pray to our Father it may be so!!! Ultimately, His will be done!!! Viva Cristo Rey!!!!! “After a remarkable life, Bl. Adrian Fortescue died a martyr at the strike of an executioner’s blade at Tower Hill in 1539. A husband and father, a Justice of the Peace, a Knight of the Realm, a Knight of Malta, and a Dominican Tertiary (Lay Dominican); he was at once a loyal servant of the Crown so far as he could be, but still more, he was a man of unshakeable faith. The House of Fortescue into which Adrian was born is said to date from the Battle of Hastings where Richard le Fort saved William the Conqueror’s Life by the shelter of his “strong shield”, and thereafter was called “Fort – Escu”. His family had a history of service to the Crown although this was later complicated by the dynastic battles of The Wars of the Roses. Vicissitudes notwithstanding, his great uncle, Sir John Fortescue (d.1479) became Chief Justice of the King’s Bench (1442-61). Sir John’s writings on the law and politics of England were arguably the most significant contribution of the fifteenth century, and are still studied by lawyers and political theorists today. Adrian’s father, also named Sir John, fought for the victorious Lancastrians at the Battle of Bosworth in 1485 when Adrian was but a young boy. And later in his life, Adrian’s first cousin, Anne Boleyn, became King Henry VIII’s second wife (before her eventual beheading in 1536). We can say with some justification then that the Fortescues occupied a privileged position at the Rroyal court. The first mention of Adrian Fortescue is in 1499, by which time, aged about 23, he was already married to Anne Stonor. He lived at his wife’s family seat at Stonor Park in Oxfordshire. This estate would later become the subject of an acrimonious legal dispute between him and his relative. In 1503, on Prince Henry becoming Prince of Wales (after Prince Arthur’s death) Adrian was made a Knight of the Order of Bath. Sir Adrian took the motto Loyalle Pensée; his loyalty was indeed to be tested. By his first wife, Fortescue had two daughters: Margaret and Frances. By his second wife, Anne Rede, he had three sons and two daughters: John, Thomas, Anthony, Elizabeth, and Mary. Like his forebears, Adrian served King Henry VIII in his ambitious military campaigns. He helped to rout the French the Battle of Spurs in 1513, and fought again in 1523. King Henry rewarded his support and in 1520 invited him to the splendorous Field of the Cloth of Gold where Henry famously wrestled with the King of France. Closer to home, Sir Adrian was made a Justice of the Peace of the county of Oxfordshire. In this period of history, royal favour could also take more peculiar forms. Sir Adrian had the dubious honour of being made a Gentleman of the King’s Privy Chamber, forerunner to the august body now known as the Privy Council. In addition to being an assiduous servant of the Crown, Sir Adrian was evidently also a man of strong religious conviction and charity. His accounts reveal a number of benefactions to clergy and religious foundations. 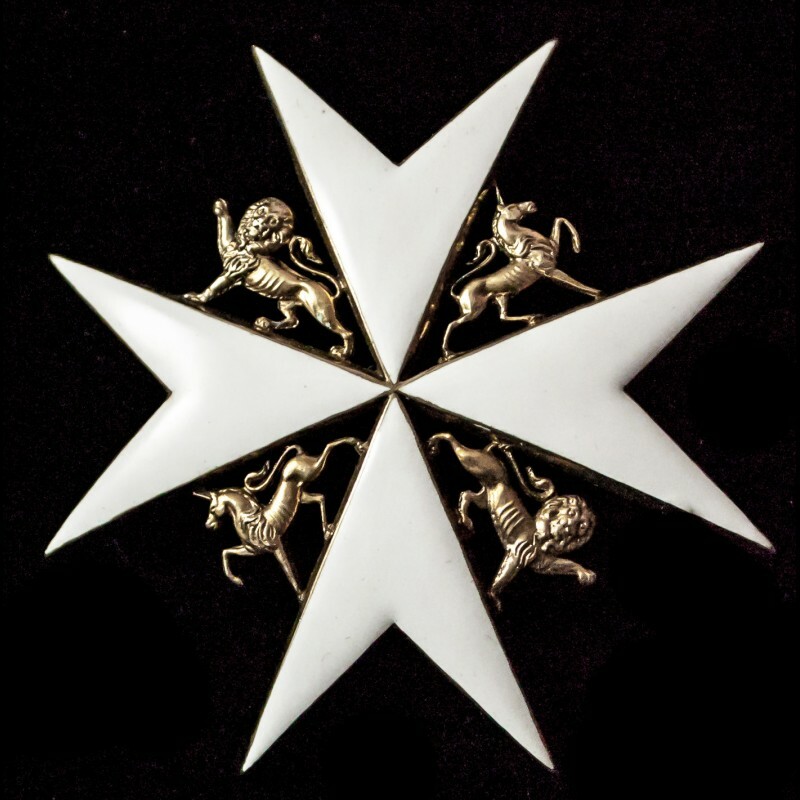 In 1532, he became a Knight of Devotion in the Order of Malta. The following year in July of 1533, he was admitted as a Dominican Tertiary at Blackfriars, Oxford, which he would visit from Stonor. But he also had a strong association with the Dominican Priory in London. His lodgings in the capital were in the precincts of the Blackfriars, close to the present eponymous tube station. Not long after becoming a Lay Dominican began what Adrian called his “trobilles”. At the start of Summer 1533, he assisted in the Coronation of his cousin, Anne Boleyn – then six months pregnant – as Queen of England. He must have realised that the marriage was not valid but perhaps thought, at that stage at least, that in the words of Sir Thomas More, it was not his business “to murmur at it or dispute upon it”. This narrow compromise was to prove short-lived. 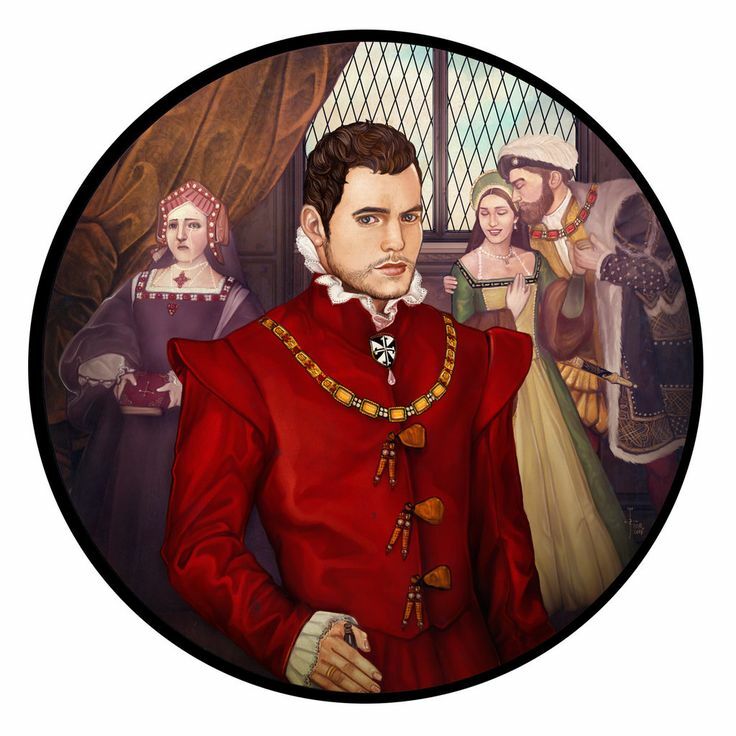 The King’s infidelity and presumption were rebuked when the Pope refused to grant an annulment declaring Henry’s marriage to Catherine as valid on 23rd March 1534. The following month on 13th April, Bishop Fisher and Sir Thomas More refused to take the Oath of Succession. Sir Adrian was similarly arrested that same year but he was released without explanation, probably in the Spring of 1535. Fisher and More were afforded no such clemency, and the two Saints were executed in Summer 1535. The Act of Supremacy was also passed in 1535, making Henry supreme Head of the Church “immediately under God”. As a matter of law, Henry expressly denied the Pope’s authority. A writ affirming this and dated the following year can be found in Sir Adrian’s extant Missal. Tellingly, perhaps, it has with a line struck through it: apparent evidence of his disapproval. The die, it seems, was cast. In February 1539, Sir Adrian was again arrested and imprisoned in the Tower of London. In the sitting of Parliament that Spring, a number of laws were passed in what has been described as the most servile Parliamentary session in history. Among the draconian laws enacted was a novel provision whereby a sentence of death might be passed without any trial of the accused. Under this procedure, no evidence was needed, neither could a defence be heard. Ironically, the architect of the law, Thomas Cromwell (then Lord Chancellor) was himself condemned by the same measure a year later leading to his own execution. This device was put to use on 11th May 1535 when a Bill of Attainder was passed condemning fifty people of High Treason who opposed Henry’s ecclesiastical policies. The names included Sir Adrian, Reginald Cardinal Pole, and the Countess of Salisbury. Sir Adrian’s Book of Hours contains a Rule of Life written in his own hand, and giving an insight into the interior life of a man who exemplified holiness and virtue in his conduct. He led a life of asceticism and honour, trying to follow God’s will in all things and daily seeking the guidance of the Holy Spirit. His pursuit of God’s truth brought him to a martyr’s death on 8th July 1539 (but possibly 9th or 10th) when he was beheaded at Tower Hill. His servants were also killed for treason on the same day but were hanged, drawn and quartered at Tyburn. As one later account neatly puts it, “Sir Adrian Fortescue died for his faith in Him whose acts Parliament was not competent to repeal”. O God, since all things are within your power, grant through the prayers of blessed Adrian, your martyr, that we who keep his feast today may become stronger in the love of your name and hold to your holy Church even at the cost of our lives. We ask this through our Lord Jesus Christ your Son, who lives and reigns with you and the Holy Spirit, one God, for ever and ever. Amen. (-from: The Missal with readings of the Order of St. John of Jerusalem of Rhodes, & of Malta, London 1997) The Order of St. John of Jerusalem, aka Knights Hospitaller, has advocated devotion to Blessed Adrian as a martyr since the 17th century. -by Br Martin Davis, OP, Br Martin was born in Georgia, attended college in Michigan, and there converted to the Catholic faith. “Saint Martin de Porres is often seen in statues, stained glass, and pictures holding a broom and a crucifix, with a Rosary around his neck and animals at his feet. 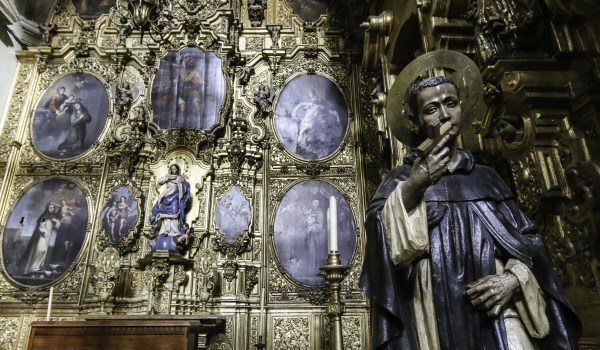 His fellow friars knew of the deep devotion he had to the Rosary, similar to his fellow cooperator brother, friend, and contemporary Saint Juan Macias. The animals depicted next to Saint Martin relate to the many stories of his communication with and compassion toward animals. The broom and crucifix represent, respectively, his practical work around the priory and his devotion to Jesus Christ crucified. By the wood of both the broom and the cross, Saint Martin sought to conform himself to Christ and achieve union with God. Saint Martin de Porres was born in 1579 as the illegitimate son of a Spanish nobleman and a freed slave. He grew up in poverty, but when his father officially recognized him as his son, he was trained as a barber-surgeon. He faced a great deal of ridicule for being of mixed race, but Saint Martin was known for his patience in the face of insults. Because the law of Peru at the time banned Saint Martin from becoming a full member of a religious order on account of his race, he humbly accepted a lay position helping out at a Dominican priory. Later he was offered the habit as a cooperator brother despite the law against doing so and despite his initial refusal due to humility. As a Dominican friar he attended to the sick within the infirmary of the priory. His superiors also placed him in charge of distributing alms to the poor. Despite his many responsibilities, he found a great deal of time to spend in prayer, sometimes with some divine assistance in the form of bilocation. After many years of service, Saint Martin died at the age of 59 on November 3, 1639. While the tree of knowledge in the Garden of Eden looked very appealing to the eyes of Adam and Eve, the cross of Jesus Christ, revealed as the true tree of life, does not appeal to us in the same immediate way. But Saint Martin knew that in a world with great poverty, illness, racial prejudice, and many other hardships, mankind could find something appealing, on a deeper level than the tree of knowledge, in the cross of Jesus Christ. Cooperator brothers, like their priestly counterparts, make vows that consecrate them to God. 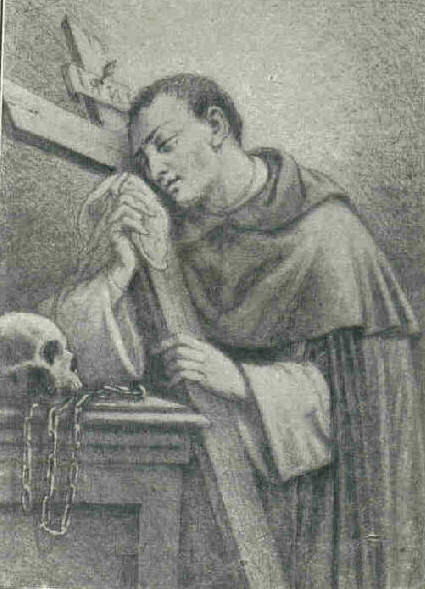 Through God’s grace, Saint Martin perfected that consecration over his lifetime by embracing the wood of the broom and the wood of the cross. Although early in life he wanted to go to a mission territory and die a glorious martyr’s death, he instead poured himself into prayer and penance to bring himself closer into the love of God. That divine love then poured over into his help of the poor and the sick. In light of this, the depictions of Saint Martin clutching the crucifix to his heart represents his conformity to Jesus Christ through prayer and penance, while the broom represents the service he offered that flowed from his union with God. Saint Martin’s hands were no strangers to the rough grain of the wood present in both these instruments. Saint Martin’s crucifix and broom were types of the tree of life, that is, the cross of Jesus Christ. Saint Martin de Porres and Saint Catherine of Siena (whose feast is today – Apr 29) can also be taken together to form a bridge of solidarity between cooperator brothers and the apostolic sisters of the Dominican Order. Both Saint Martin and Saint Catherine worked to help the poor and the sick. Both were also consulted by bishops. Saints Martin and Catherine, like the cooperator brothers and apostolic sisters of today, found their identity in religious consecration. They turned themselves over to prayer and penance to find union with God, and then shared that love with others in various ways. To you St Martin de Porres we prayerfully lift up our hearts filled with serene confidence and devotion. Mindful of your unbounded and helpful charity to all levels of society and also of your meekness and humility of heart, we offer our petitions to you. Pour out upon our families the precious gifts of your solicitous and generous intercession; show to the people of every race and every color the paths of unity and of justice; implore from our Father in heaven the coming of His kingdom, so that through mutual benevolence in God, men may increase the fruits of grace and merit the rewards of eternal life. Amen. – “Madonna w/Christ Child, Young St John the Baptist & St Peter of Verona, OP”, Lorenzo Lotto, oil on canvas, 1503, 55 cm (21.7 in) x 87 cm (34.3 in), National Museum of Capodimonte, Naples, Italy. 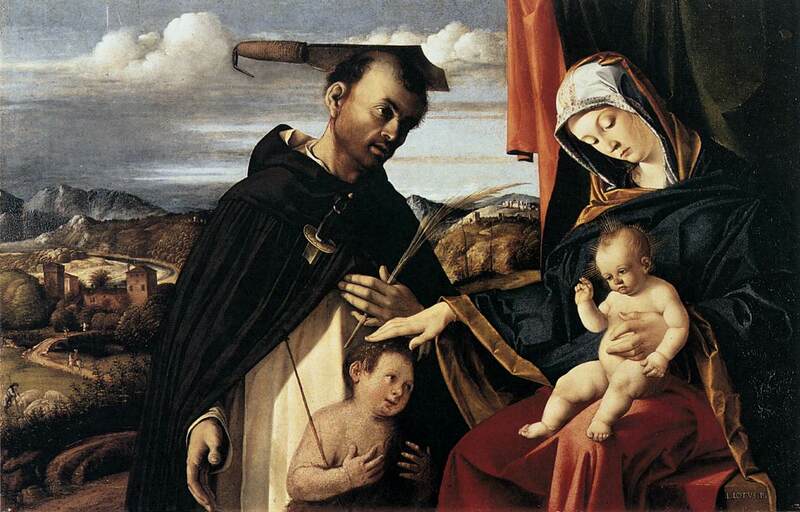 “On April 6, 1252, St. Peter of Verona was assassinated by two men hired by the Cathar heretics in retribution for his preaching of the Catholic faith. He famously began to write the Creed in his own blood while he was dying, and was canonized just eleven months later, becoming the first canonized martyr of the Order of Preachers. He was not a lay brother, and today is not his feast. Today is instead the feast of Bl Carino of Balsamo, OP—locally venerated as a blessed—he being the man who cut off the top of St. Peter’s head with a pruning axe, mortally wounded Peter’s companion Domenico, and then returned to stab Peter with a dagger before he could finish writing his faith in the dust. As our Franciscan brothers have specially signified the corporal works of mercy by the poverty of their own communities, Dominicans have specially signified the spiritual works of mercy by acts of mercy to their own brethren. Even as heinous a crime as murder in the service of those who hated the true faith of Christ was (given contrition) no obstacle to living religious vows, and that life of penance was Carino’s way of thanking God for the mercy of absolution. This focus on God’s grace and mercy is distinctively Dominican, but it has its roots in the Benedictine traditions of labor and hospitality. 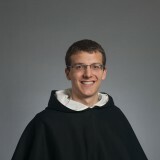 As the monastic tradition developed in the medieval period, a distinction arose between monks who had been raised from their youth as oblates of the monastery, immersed in both study and religious observance, and those who came to the monastery as adults, generally without those advantages. These latter were known as conversi because their lives had been visibly transformed (or converted). But while they shared the religious life of those who had been raised as oblates, their lack of education and sometimes their manifestly immoral histories acted as impediments to ordination. Rather than performing the sacraments, they passed on the mercy which they had received by engaging in the manual labor required to provide hospitality, whether to guests at Benedictine monasteries or Dominican clerics deeply engaged in study. Carino was transformed by grace from a man who persecuted Christ into one who recognized his Lord in the truth his fellow friars preached and in the needs of the poor. He lived this vocation of the convert with heroic sanctity. He cared for both the clerics in the convent vowed to poverty and the destitute outside its walls. After his death, Carino was venerated by the people of Forlì. The regulation of Carino’s cult by the papacy began in 1822, but the death of Pius VII delayed the process, and the paperwork was misplaced. 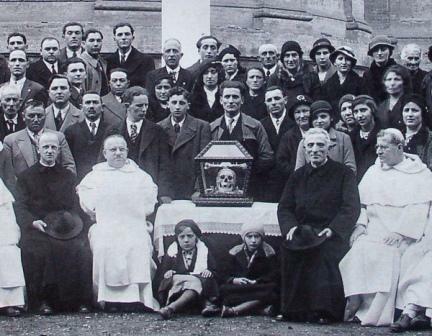 Carino is buried at the Cathedral of Forlì, and in 1934, Cinisello Balsamo obtained Carino’s head, a translation at which Blessed Alfredo Ildefonso Schuster participated. Carino’s feast day is celebrated on April 28, the day of this translation. Nov 3 – Bl Simon Ballachi, OP, (1250-1319) – Swords? Plowshares? WTF? “The prophet Isaiah predicts that the coming of Jesus Christ will usher in a time when the tools of war will be turned into tools for fruitful harvests. But when exactly will the coming of Christ that leads to this disarmament take place? Saint Bernard of Clairvaux spoke of three comings of Christ: the incarnation, the coming of Christ at the end of the world, and the coming of Christ into the hearts of believers in the time in between. During the first coming of Christ, Jesus told us that to live by the sword would mean to die by the sword, and he told Peter to put away his sword in the garden of Gethsemane. At the end of the world, there indeed will be an end to warfare altogether. In the meantime, the coming of Christ into our hearts can help us to put away the sword of sin, guile, and malice. An example of this that is both literal and spiritual is found in Blessed Simon Ballachi. Blessed Simon was born into nobility in 1250 in Rimini, a city on the Adriatic Sea in what is now Italy. His homeland was filled with fruitful farmland and orchards, benefited from a strategic trade position, and often experienced warfare involving mercenary armies. His family expected him to assume, upon an appropriate age and maturity, administrative responsibility for his family’s estates. From an early age, Blessed Simon was trained to serve in the military, and he would become a mercenary as a young man. But at the age of 27, he put away the sword and joined the Order of Preachers as a cooperator brother. After joining the Order, Simon’s superiors gave him the task of tending to the garden. Simon spent long hours working in the garden, doing penance, and praying. After many years of humble service to his fellow friars, he had to retire from his physical work after losing his sight at the age of 57. Although his physical eyesight failed, he received many spiritual visions late in life. Jesus, Mary, Dominic, Peter of Verona, and Catherine of Alexandria all came to speak with him directly. Blessed Simon peacefully passed on to his heavenly reward on November 3, 1319. Blessed Simon literally put away the sword and took up the tools of the garden, but he also hammered the sword in his heart into a plowshare of charity. The tools of war, malice, and anger were turned into tools of peace and spiritual fruitfulness. Blessed Simon was known for praying fervently in the garden while working. He also wore the chains with which he used to bind prisoners as a penance for the sins he had committed as a mercenary. (I recently visited Sinsinawa, WI where I saw the penitential chain worn by Ven Samuel Mazuchelli, OP, the cause of a modern miracle in the cure of lung cancer in Robert Uselmann of Monona, WI in 2001, when he traveled the 75 miles to Sinsinawa to pray with Ven Fr Mazuchelli’s penitential chain, found on his body immediately after death.) From all of this he grew deeply in charity. Blessed Simon invited Jesus Christ to reshape the sword in his heart after he had given up the sword in his hand. While most of us do not need to put the physical sword away to avoid the sins of pillaging and unjust war, we do have a need for Jesus to come into our hearts to replace the evils and malice there with charity. Blessed Simon is an eschatological sign in that he was transformed by the spiritual coming of Jesus into his heart ahead of the coming of Jesus at the end of the world. Ant. Strengthen by holy intercession, O Simon , confessor of the Lord, those here present, have we who are burdened with the weight of our offenses may be relieved by the glory of thy blessedness, and may by thy guidance attain eternal rewards. Ant. Well done, good and faithful servant, because Thou hast been faithful in a few things, I will set thee over many, sayeth the Lord. V. The just man shall blossom like the lily. R. And shall flourish forever before the Lord. Ant. I will liken him unto a wise man, who built his house upon a rock..
Let us Pray: O God, Who, among his other virtues, didst adorn Blessed Simon Thy Confessor, with constant diligence in prayer and a singular prerogative of humility, grant us so to imitate him that, despising all the things of the world, we may here seek Thee alone, and hereafter attain the rewards in heaven promised to the humble. Through Christ our Lord. Amen.